The system consists of an air pump and a bariatric mattress which provides full support in sitting position with switchable pressure zones. An air cushion forms between the patient and the mattress with 120liter/minute low flux air output during operation. It provides support by inreasing the local pressure in the head and legs whenever the bed is positioned 30 º inclined on one of these regions by sensing the movement via internal sensors. 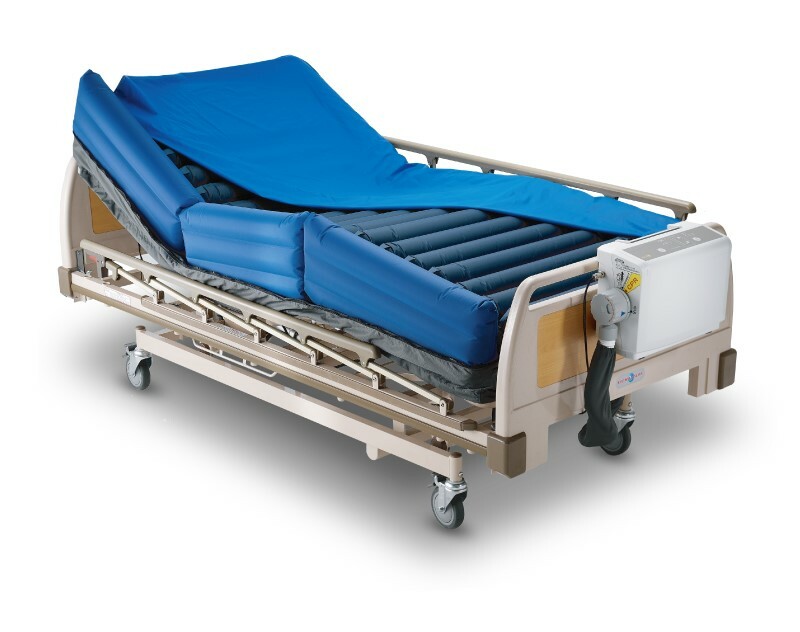 It is the only air mattress that is compatible with head & legs adjustable patient beds. The system supports patients up to 450 kg being very competitive and rare in its segment. It creates three separate pressure zones for head/neck, torso and legs hence offers the best pressure relieving system. Side supports provide optimal safety and comfort to the patient. For patient care purposes, user has the option to select non-fluctuating flat surface option as well as “MaxFirm” feature specifically designated for maximum firmness. do not miss our updates!